A reminder of the website's East Midlands' roots, with a pictureview of recent changes that have occurred to some routes since the 26th October. 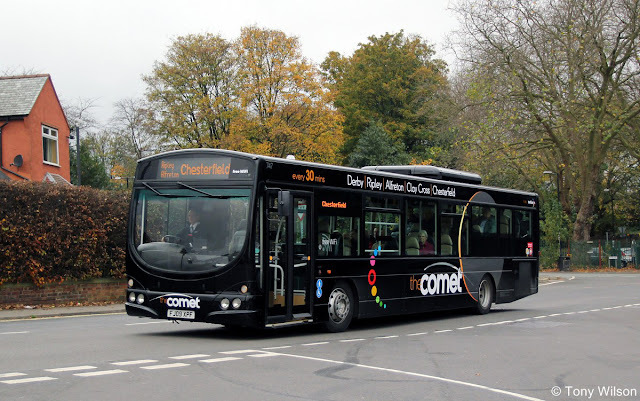 The jointly operated routes 140/141 from Matlock respectively to Alfreton and Ripley, once the preserve of Yourbus, are now run by Littles of Ilkeston, using a fleet of new Alexander Dennis Enro200 saloons in the 'classic' style. 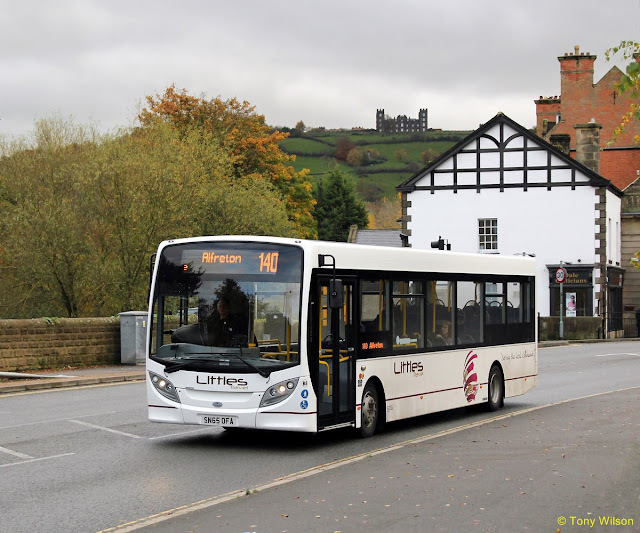 The imposing Riber Castle provides a backdrop for one of the new buses as it arrives in Matlock from Alfreton. Littles have also taken over running route 150 from Matlock to Clay Cross, but this time from DW Coaches of Clay Cross. 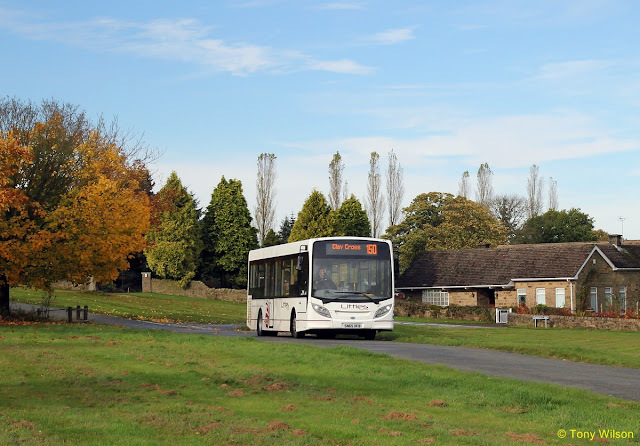 Two weekday journeys in each direction serve Brackenfield. 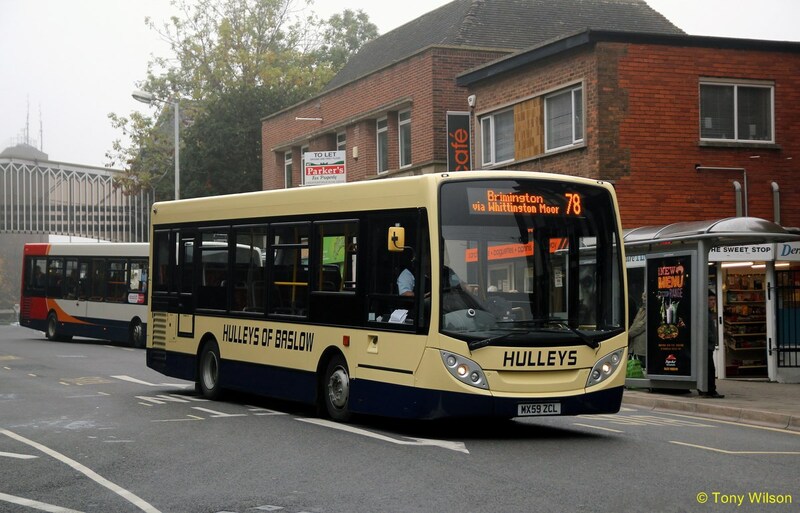 Staying with the ADL Enviro200, here Hulleys of Baslow's existing fleet 8.9m version is illustrated here in Chesterfield, having taken over from DW Coaches the operation of route 78 Brimington to Staveley/Hartington. But probably the most interesting of the changes were those to the Trent operated Red Arrow route. 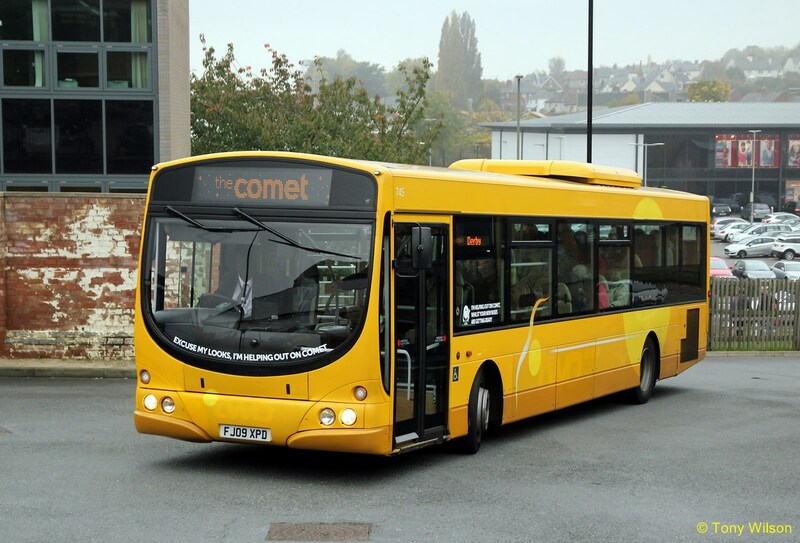 Since 1997 it operated between Nottingham and Chesterfield via Derby. 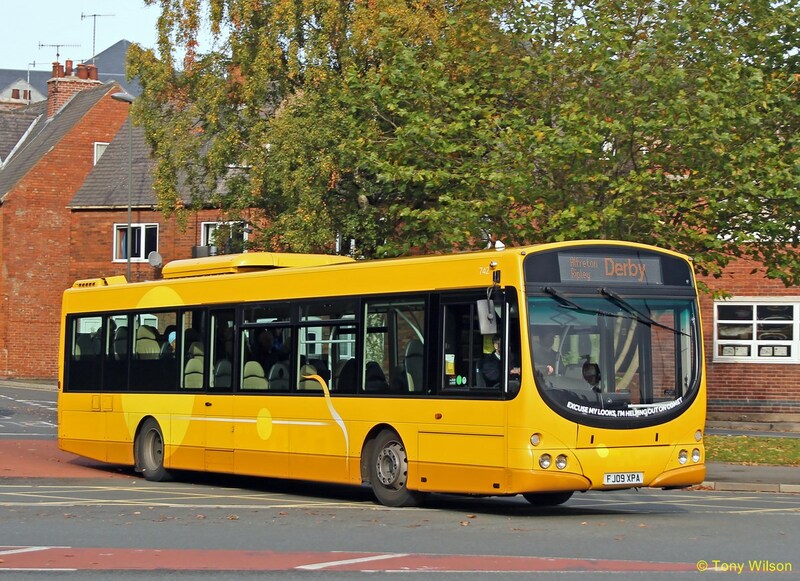 Latterly it was split to operate Nottingham to Derby and Derby to Chesterfield. 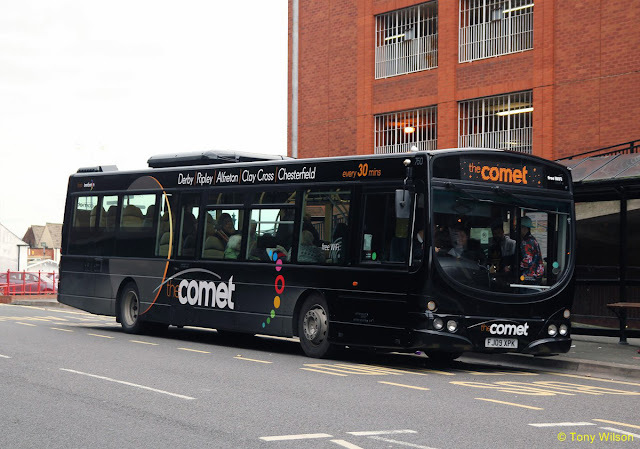 From October the northern section was further split away, becoming marketed as the Comet. Initially buses made spare from another route ran in yellow livery with appropriate reasons applied, until the intended livery was applied to similar vehicles. In due course the new route was complete when five existing fleet Volvo Wright saloons entered service in the full black 'Comet' livery. 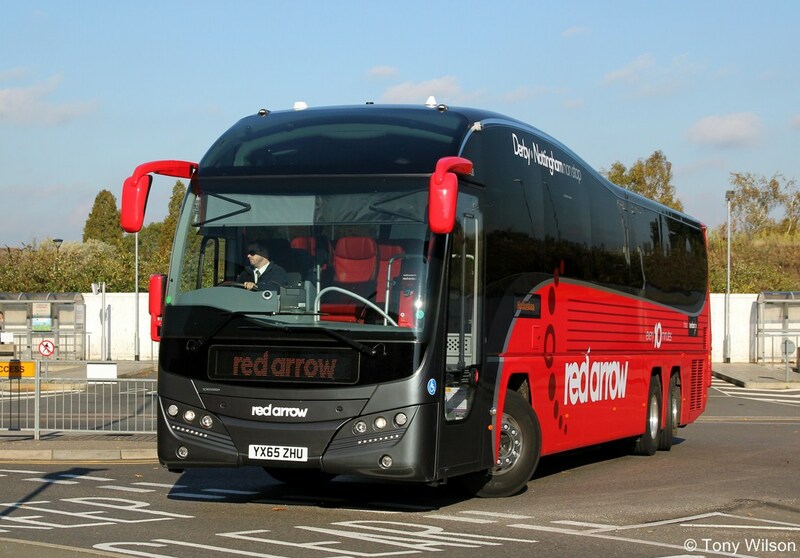 The remaining element of the Red Arrow goes back to its origins roots running limited stop between Derby and Nottingham direct via the A52 and the Queens Medical Centre. A fleet of tri-axle Volvo B11RT with Plaxton Elite bodywork.